Dad’s weekend isn’t exactly official at FSU, meaning that there isn’t one specific weekend that it is called for, but many sororities and fraternities have one. My sorority has one during the Spring semester. Some will rotate years with mother-daughter or mother son weekend. Sororities will either host a brunch or have some activities planned that weekend. Some sororities have brunch at the house; others rent out a restaurant. Mine has brunch on Sunday, giving us time to hang out with the family beforehand. 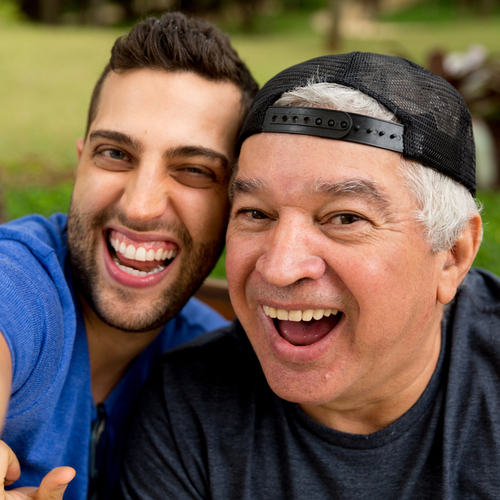 It is not uncommon for more than Dad to come for Dad’s weekend, but generally, it is about you and Dad. For those dads looking to relive their college experience, there are floods of parents that go out during happy hour. A fun, true college bar to take them would be Potbelly’s. It is extremely relaxed and less clubby. There is outside seating and parents can get a glimpse into the college lives of their students. My parents love it – as long as we stay outside as it gets pretty stuffy and crowded inside. For those students who are 21, I highly recommend just taking Dad to the college town area and bouncing between Madison Social, Township and Coosh’s. Warning: your parents will never want to leave. For those adventurous dads, head over to the FSU Rez – 3226 Flastacowo Rd. It is $3 for those aged 16 and up for entry. To rent a canoe, kayak or stand up paddleboard, it is $10 per hour if you don’t have a valid FSU card. FSU students get in for free. My dad loved being able to escape from technology and just canoe on the lake. Although he did much of the rowing, it was a great bonding experience and he got to see that Tallahassee does have a lot to offer with these scenic places. Some fraternities arrange for golf outings or a campus sports game. Often they have BBQ’s as well. There are many great things to do and see in Tally. We have a list of other great must-sees here. One of the major advantages for having one of my parents come see me was being able to eat out. If you’re a student looking to indulge, some great restaurants in town that you should check out are The Edison and Table 23. Check out our restaurant blog for other great suggestions. For those parents who are looking for a relaxing or more chill night and want to casual drink instead of going out, check out The Wine Loft. If Dad is a wine connoisseur, all the wine and charcuterie you could ever want is there. This is a great place to start the night off before dinner reservations. Or perhaps, check out The Brass Tap, where you’ll find 40 beers on tap and over 300 different bottle beers as well as Karaoke. If your parents come early on Thursday, they have that every night from4 9 pm until 1 am, so the party continues. Finally, if they don’t want to go too far, the Level 8 rooftop lounge is located in the Hotel Duval.